Hi, friends. We are still planting in the garden. 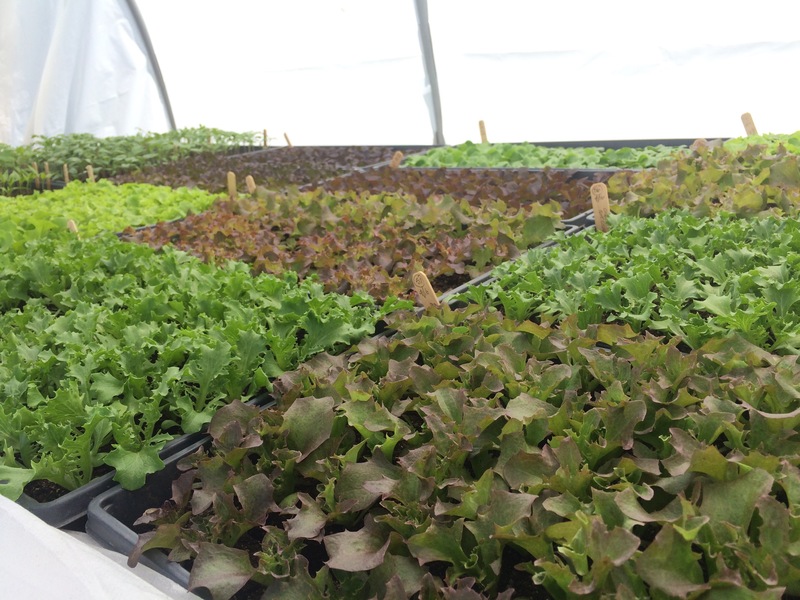 Because of a lack of harvestable material, it may be a few weeks until we return to market. The good news is that things are starting to sprout! In the meantime, we do have garlic scapes. Is anyone interested? Let me know. Not sure what garlic scapes are? They are the flower stalk that garlic produces. Gardeners harvest the scapes so the the garlic plant focuses on forming a nice, big bulb. Plus, scapes are 100% edible! Delicious raw (as in salads) or used for cooking with any dish that calls for garlic. 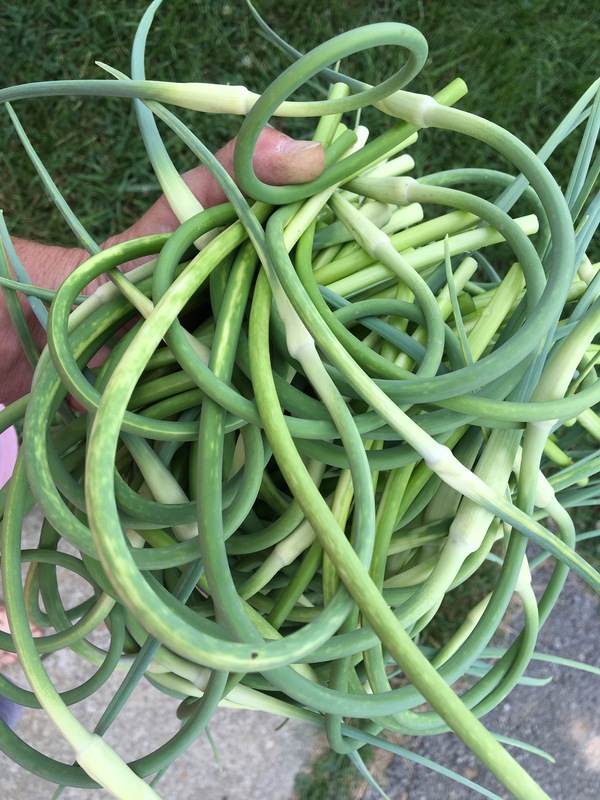 Scapes have a mild, garlic flavor. Time keeps on ticking, and I can hear it loud and clear like my own heartbeat. I need about two weeks. Isn’t that funny? Most people want time to lounge on the beach. To go fishing. To ski. It’s high time I get these lovelies in the ground! They’ve been patiently waiting for my attention! Completely ignoring the filthy man-hand, what does this picture say to you? Let me give a little background. What is happening here is seeding (a little late, but it is getting done) of some rows that, hopefully, will become lush with delicious carrots. The container, in my filthy man-hand, holds the organic, pelleted carrot seeds (Johnny’s Selected Seeds). This container holds around 5,000 seeds. What this picture tells me is that our filthy little man-hands (Jordan has them, too!) have carefully, lovingly, placed THOUSANDS of carrot seeds into our earth, 5 rows per bed, with seeds about an inch apart. Whoop! Come on germination!!!! What an amazing weekend! Bright sunshine. Comfortable temps. Slight breezes. Man, it really gets ya eager for spring! Nature is already telling us that a change is underway….daffodils are coming up, forsythia is getting ready to shower some color, and the maples are preparing to release some pollen. I am trying to watch these sorts of things to help with timing of some of my planting this season. The process of observing / recording plant and animal cycles over the seasons is called phenology. In my simple mind, it goes back to a mantra I believe…that things happen for a reason. Plants emerge, leaf out, flower, insects appear, animals behave this way and that…all of this and more occur because of an underlying cause – mostly temperature (climate). The importance of what happens around you…. Daffodils have a wide territory, so why should you care what they do? The cool thing about following what happens in your backyard is that, well…it is specific for YOUR backyard. 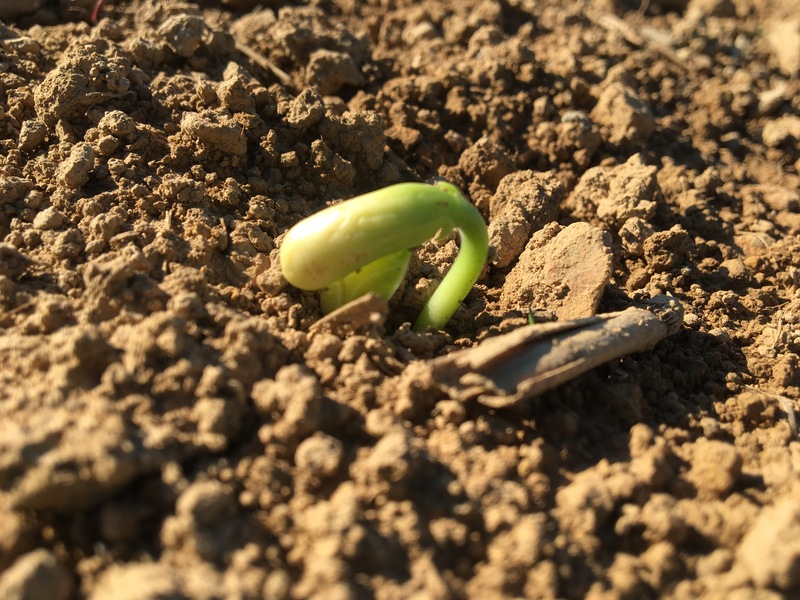 Meaning – you can determine the climate in your region at a specific point in time which may impact planting decisions or growing conditions. Or…just be nice to look at and take note! In a world of generalities, it is kind of nice to have something that can guide you in your decision making. At any rate, we’re gonna give it a try as a sort of experiment. Can’t hurt! Hard work is underway. 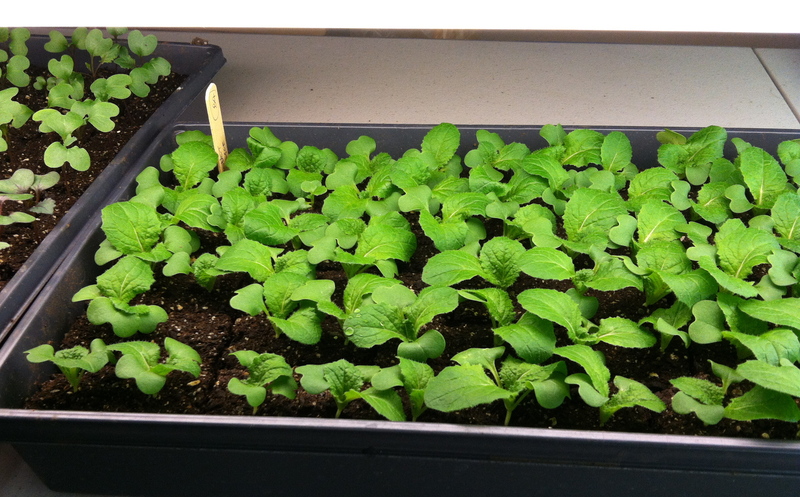 Granted, we are still in the basement, but we have a better setup than last year for our seed starting operation. 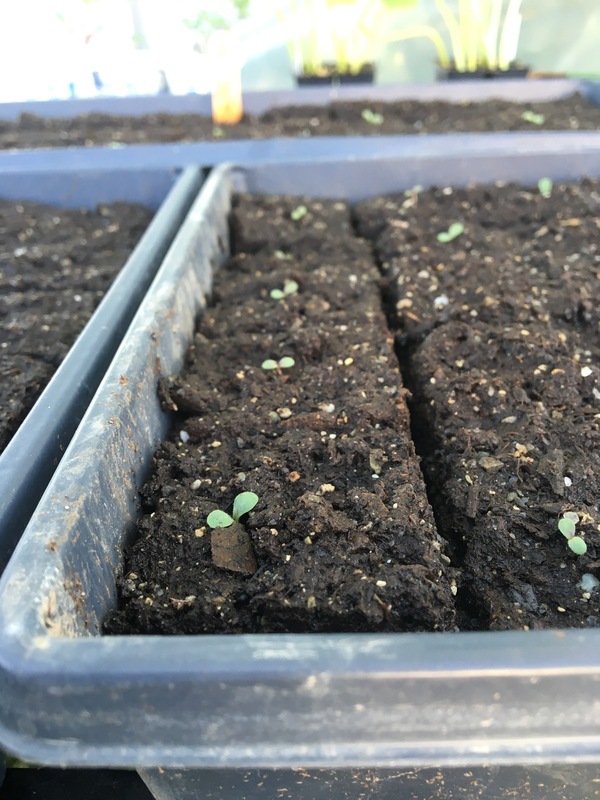 Onions, cabbages, kohlrabis and other greens are beginning their pampered lives with words of encouragement, every other day mistings of moisture, and warm shop lights. LOTS of shop lights. (A growing area will be built one of these days). 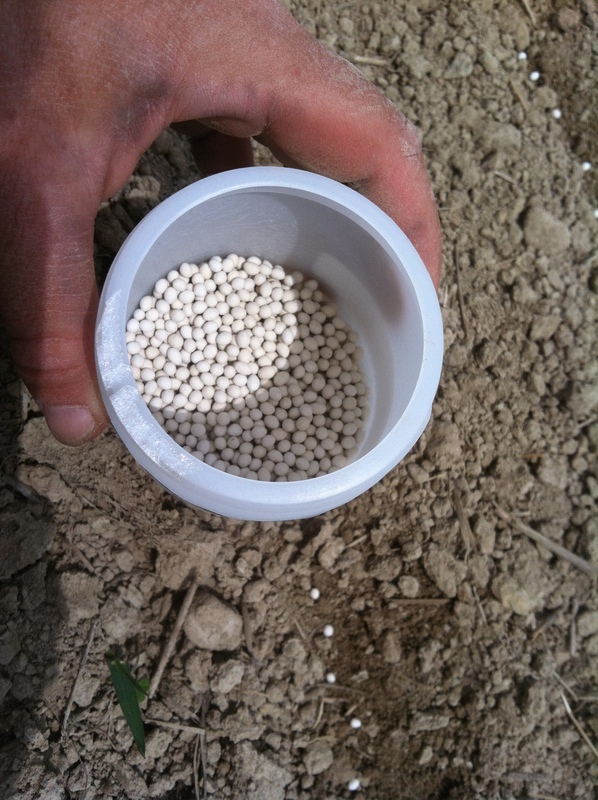 Soon, some direct seeding will happen out in the field – peas, carrots, beets and others. It is a much anticipated and exciting time! What’s going on in your area?